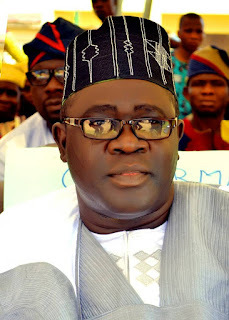 Otunba Wasiu Ademola has on behalf of his family and the entire Rovet team both in Nigeria and diaspora, felicitated with Muslims all over the world particularly Osun state on the occasion of this year's Maolud Nabiyy celebrations. Ademola who is also known as Rovet said in a statement made available to Amiloaded that, "Maolud Nabiyy which simply means '' birth of the Holy prophet '' is usually celebrated during the lunar month of Rabiu-l-Awwal which is the third month in the Hijrah Calender. As we mark this year's Maolud, I will like to admonish my fellow brethrens in Islam on the importance of living our lives according to the injunctions of the Holy prophet. If truly we love the prophet as we claim, it is very important that we emulate him totally in all aspects of our lives as Allah says in the holy Quran that the best example worthy of emulation to you Muslims is in the prophet Muhammad (may the peace and mercy of Allah be unto him). The prophet that we know was very accommodating, very humble, very tolerating and most importantly, very honest. He was nicknamed '' Al-Ameen'' which means "a trustworthy person". It therefore becomes imperative that as Muslims, we must be trustworthy in our relationships with people regardless of their faiths. We must be tolerant and humble to everyone. If we fail to emulate all these noble traits of the prophet, we may not be regarded as his true followers. As we pray for continuous showering of Allah's blessings and mercies onto the soul of our dear prophet, we pray that Allah should extend His blessings, mercies and tranquilities into the lives and homes of each of us, our state and most importantly, our country Nigeria."